Alexandria Ocasio-Cortez slapped CNBC down over a tweet about psychopathic millionaire CEOs. 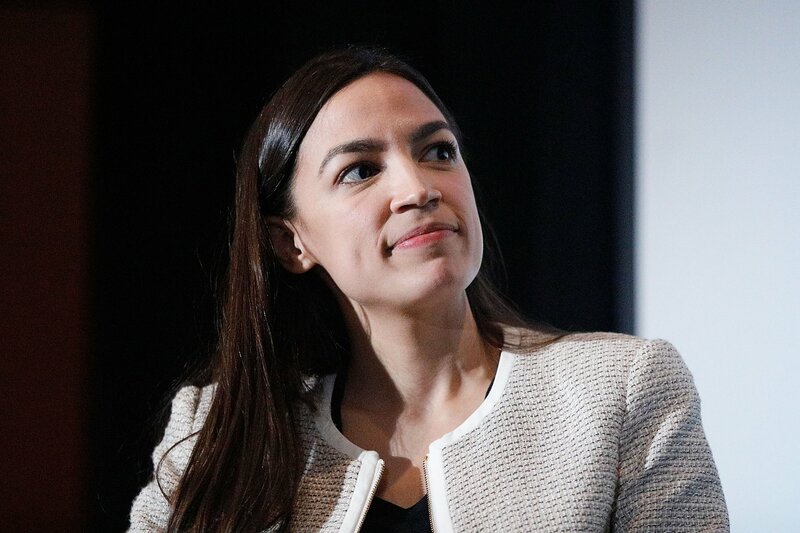 The Democratic representative from New York responded to a post by CNBC Make It which said: “Most successful millionaire CEOs are psychopaths—here’s why it doesn’t have to be a bad thing,” and linked to an article about psychopathy among business executives. Psychopathy is a mental disorder. Psychopaths are arrogant manipulators who do not feel guilt or remorse. They are capable of feigning charm to win people over but can become very angry when things do not go their way or people do not do what they want. A 2009 study published in the International Journal of Law and Psychiatry by Coid et al estimated that the prevalence of psychopathy in the general population in Great Britain is somewhere between 0.6 and 1.6 percent. According to a 2011 paper by Kiehl and Hoffman in the journal Jurimetrics, 16 percent of all adult American males either in prison, jail, on parole or on probation are psychopaths. There are significantly fewer female psychopaths than male psychopaths. There have also been studies into the prevalence of psychopaths at the top of the business world. The traits of psychopathy lend themselves to individual success, particularly the lack of conscience, but these people can cause chaos in organizations as they rise up. One study from 2010 by Babiak, Neumann, and Hare—three leaders in the field of psychopathy research—published in Behavioral Sciences and the Law found that there were around three times as many potential psychopaths in the corporate leadership world than in a sample American community. “Most of the participants with high psychopathy scores held high-ranking executive positions, and their companies had invited them to participate in management development programs,” the study said, despite negative feedback from bosses and peers about their performance. Other studies also show that psychopathic leadership can harm companies financially. A 2017 study by Brinke, Kish and Keltner in the Personality and Social Psychology Bulletin found that hedge fund managers with psychopathic tendencies make worse investments. “Managers with greater psychopathic tendencies produced lower absolute returns than their less psychopathic peers, and managers with greater narcissistic traits produced decreased risk-adjusted returns,” the study found. Another piece of research from 2017 by Wisniewski, Yekini, and Omar found a similar situation when looking at the stock returns of companies exhibiting psychopathic traits. “We find that language characteristic of psychopaths present in annual report narratives, questionable integrity, excessive risk-taking and failure to contribute to charitable undertakings tend to reduce future shareholder wealth,” the study said.